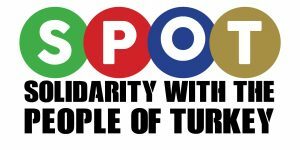 We must stand in solidarity with the people of Turkey. Steve Sweeney, SPOT Steering Committee member reports from Turkey on the aftermath of the referendum. I was part of the demonstrations in Besiktas last night where people were opposing the outcome of the referendum result. The result cannot be given any credibility and should not be legitimised. Opposition CHP and HDP have announced they will challenge the outcome of the election. 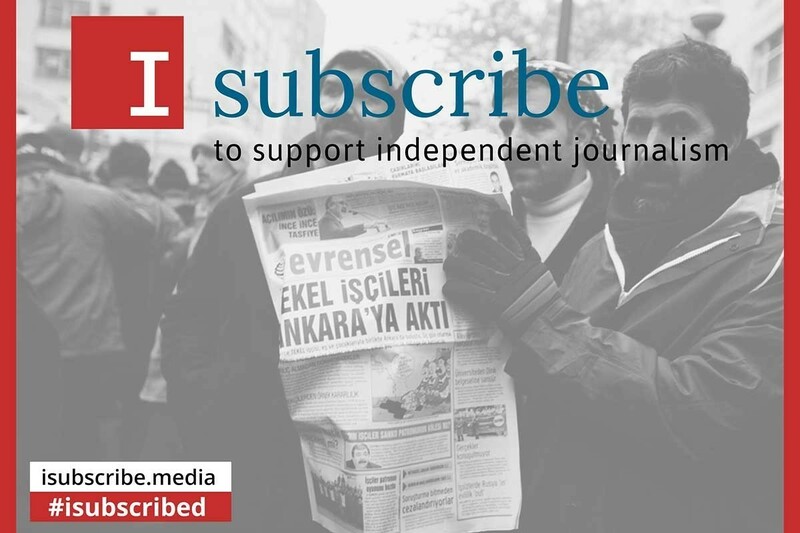 The people of Turkey have accused president Erdogan of stealing their vote with reports of widespread corruption including 2.5 million contested votes counted as Yes, No votes going missing and AKP/Erdogan supporting AA news agency announcing results before ballot boxes had even left polling stations. Erdogan would never have accepted defeat in the referendum. This was a long time in the planning. When the HDP election victory meant he could not command the majority needed to force the changes through parliament, he pushed through a law lifting immunity from prosecution for lawmakers and had 13 MPs thrown in jail. It was only the failed coup last year which saw the ultra-nationalist/fascists of the MHP change their position to support the constitutional changes, however not all MPs or their supporters agreed. In the south-east whole cities have been flattened with half a million people displaced. Many of those people cannot vote as they have no registered address due to their homes being destroyed and those that can are subject to military checkpoints, although many simply do not have the means to travel to vote. Independent observers were blocked from entering sensitive areas. Despite all of this, Erdogan could only muster 51% of the vote. It cannot under any circumstances be described as a free and fair election. I was stopped by the police at a polling station and they tried to take my phone from me and I have a serious suspicion that my laptop and social media have been hacked and tampered with and my internet access restricted. But the people of Turkey are not accepting the result. A series of demonstrations spread across many districts in Istanbul last night and I expect will continue today as international bodies say they will assess the allegations of fraud and corruption. However these same bodies have been responsible for giving Erdogan the free hand he needed to terrorise his own people. Who have offered mild rebukes which he has seen fit to ignore as they refuse to consider any serious response to what elsewhere would be described as war crimes or crimes against humanity. The pots and pans heard across Istanbul last night stood as a reminder of the spirit of Gezi. It is to these people that the new Turkey belongs and the fight will continue.